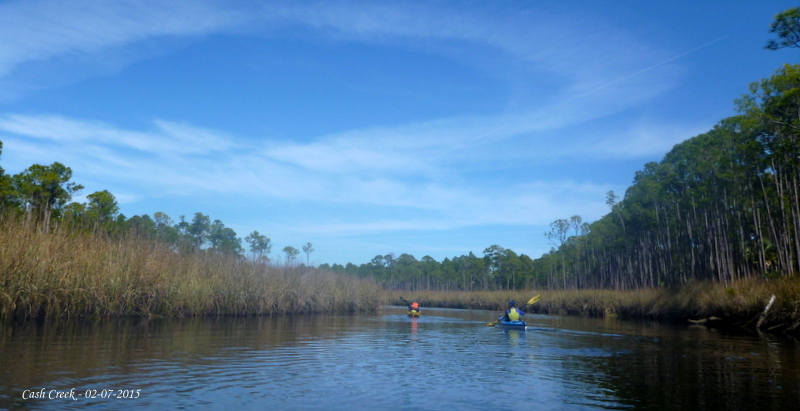 Cash Creek, Tate’s Hell State Forest – February paddling at its best! It was a beautiful day to be out on the marsh, the swamp and the forests — all these habitats in one creek system, including an old drainage ditch dug by a the previously plantation operators. 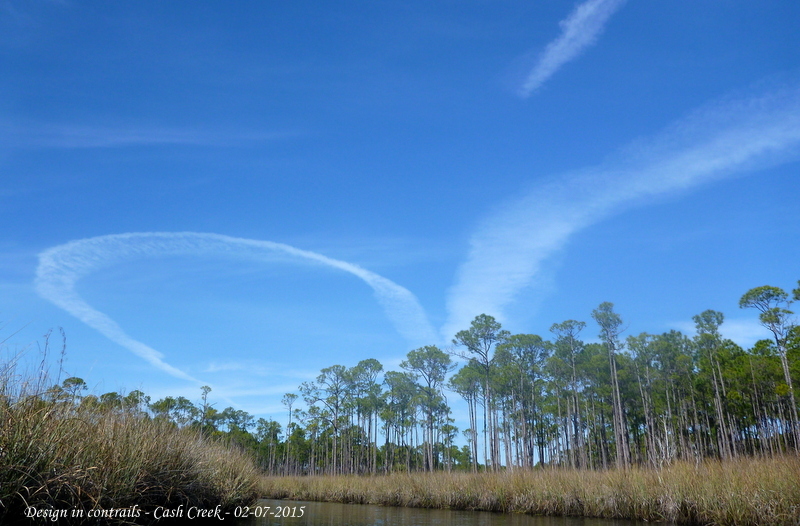 Contrails in the sky, patterns of marsh rushes at eye-level, and below in the tannic waters patterns in the sand and muck. 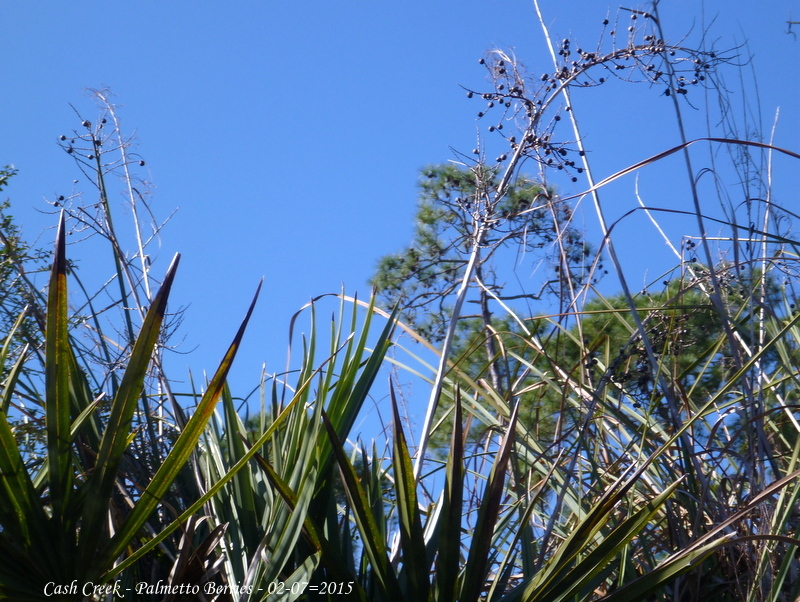 When the marsh leads into the swamp, occasional pines change to cypresses. An osprey was about, the first two paddlers saw it catch a fish, but nothing was stirring in the nest. Perhaps later….ospreys return to their nests every year. 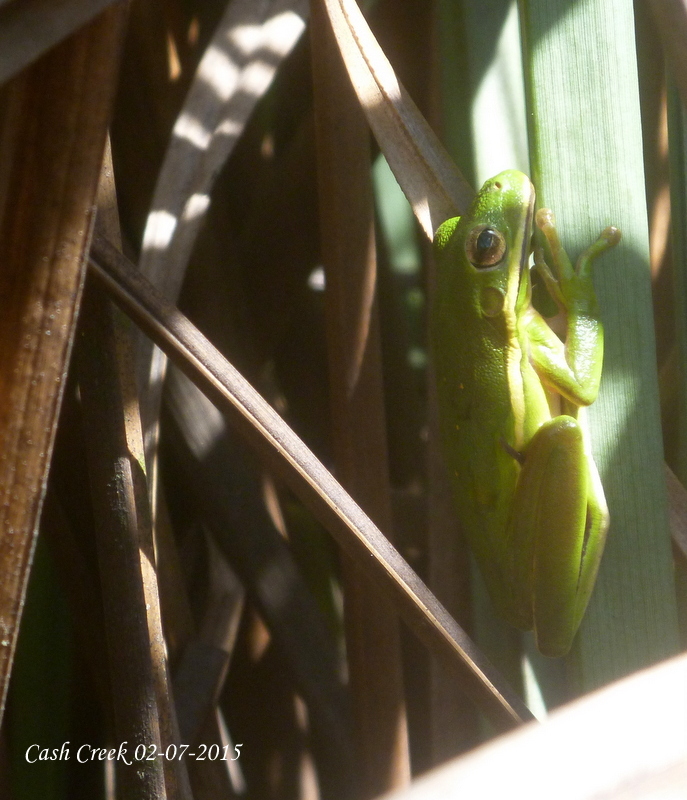 Before entering the swamp, in the reeds, a green frog, trying hard to remained camouflaged. The two paddlers in front saw an otter in two different parts of the creek — sleek, fat ones. 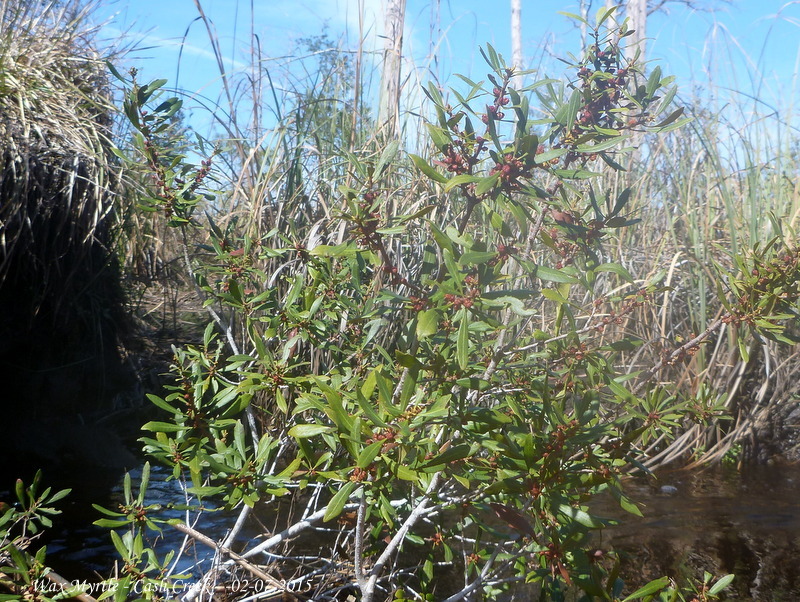 Migratory birds still have not found the yaupon or the dahoon berries, ripe and ready to eat. 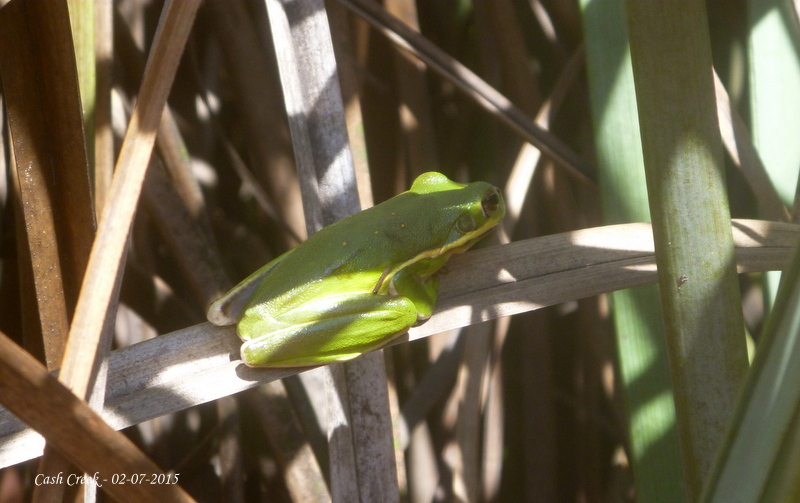 But there was a kingfisher, a prothotonary warbler in the underbush and sounds of other birds in the marsh and the shrubs, not the noisy cocaphony of crows in the late fall. A lone buzzard glided gracefully in the air drafts above the marsh and swamps. 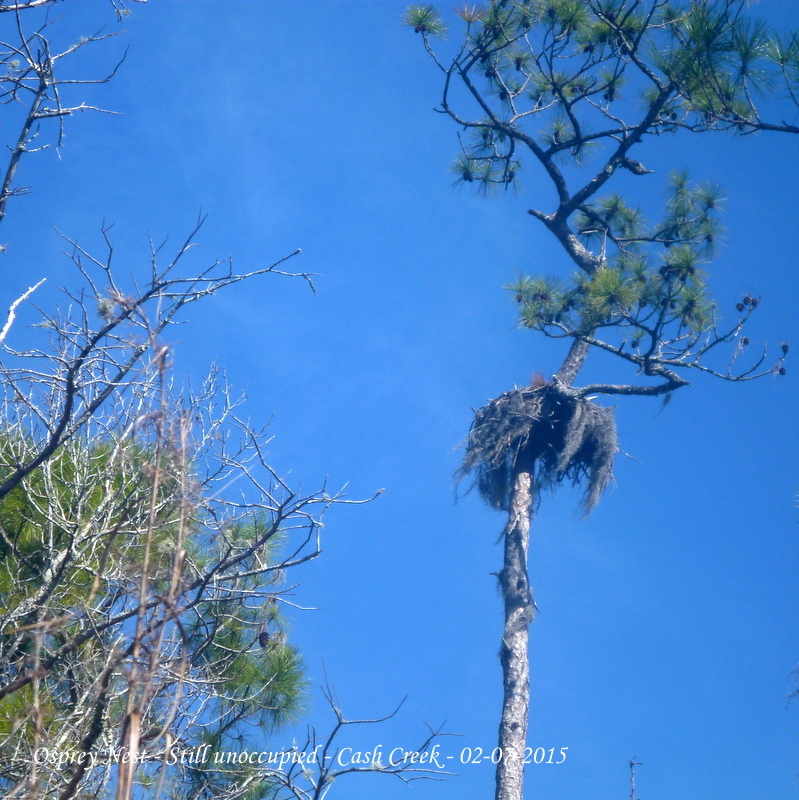 Buzzards keep the land clean of rotting carcasses — we are thankful that they are around as housekeepers of the forest. 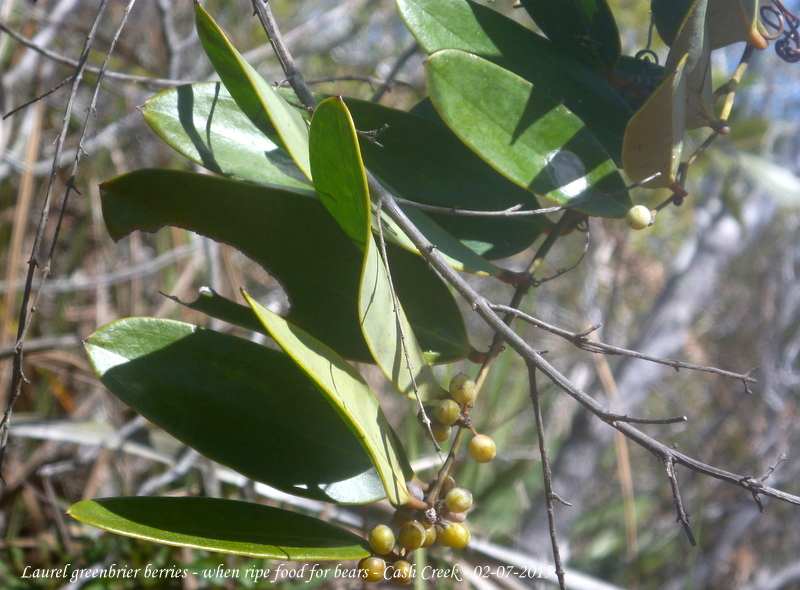 This is bear food, the still green fruit of the laurel greenbrier and palmetto berries, still untouched. 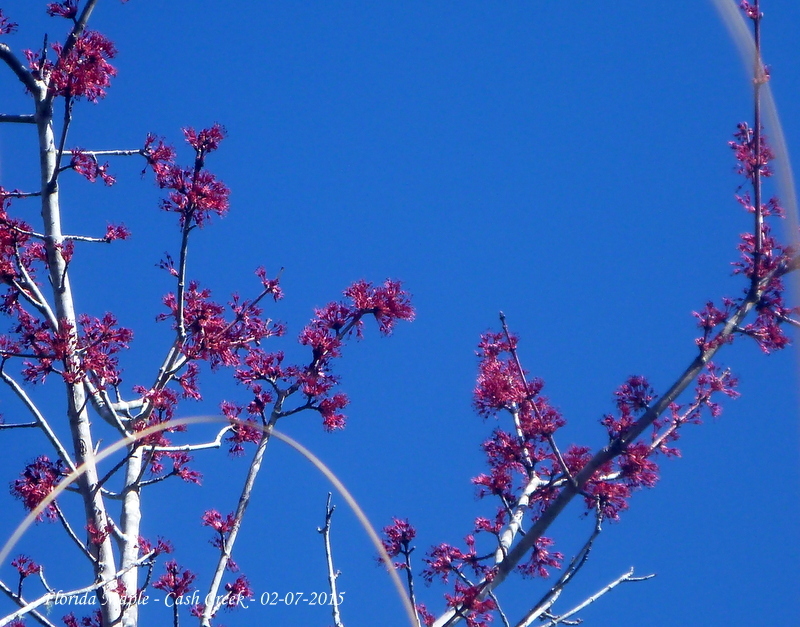 But spring is here — the Florida maples are like daffodils and crocuses in the north! 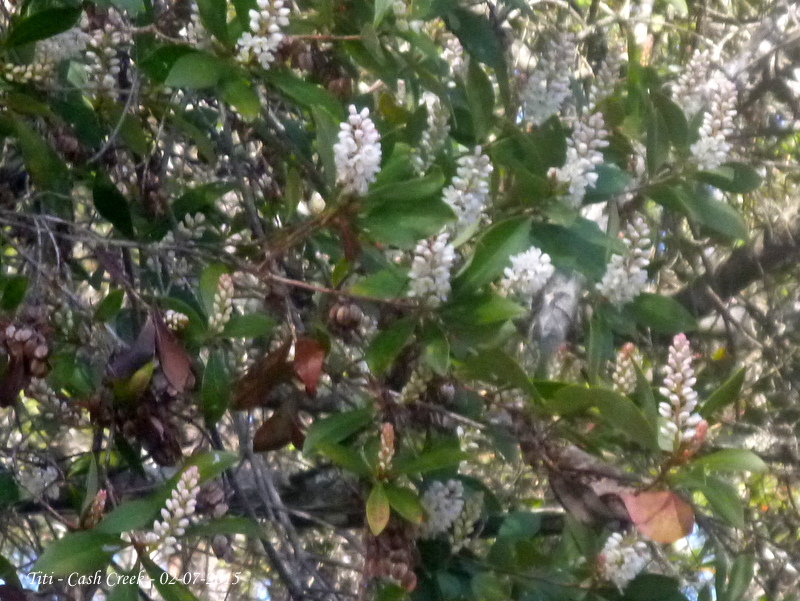 And wax myrtles — ready to bloom. And titi already blooming. But the bees have not seen them, although the scent is already perceptible. Into the old tree plantation canal — obvious because it is straight — the bridge marks the end of navigability. Back to the put-in at the Cash Creek Day Use and Picnic ground, off Highway 65. 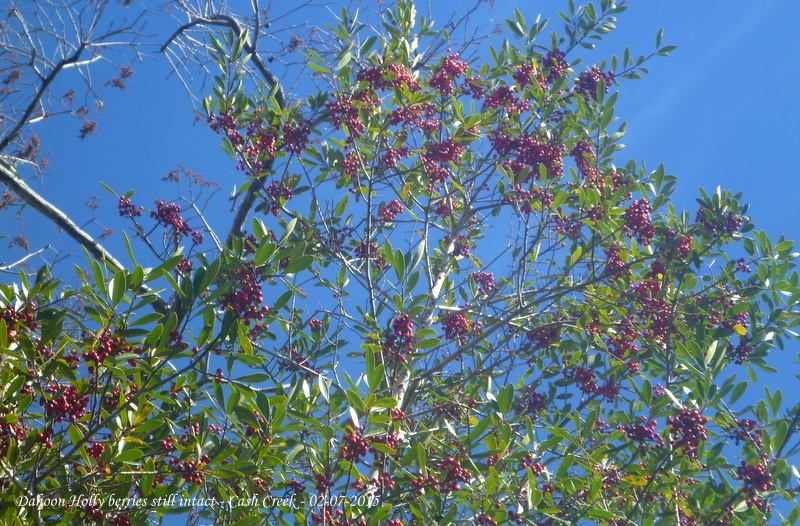 The play of contrails, ending a cool, but sunny day of paddling — 10 miles up three branches. 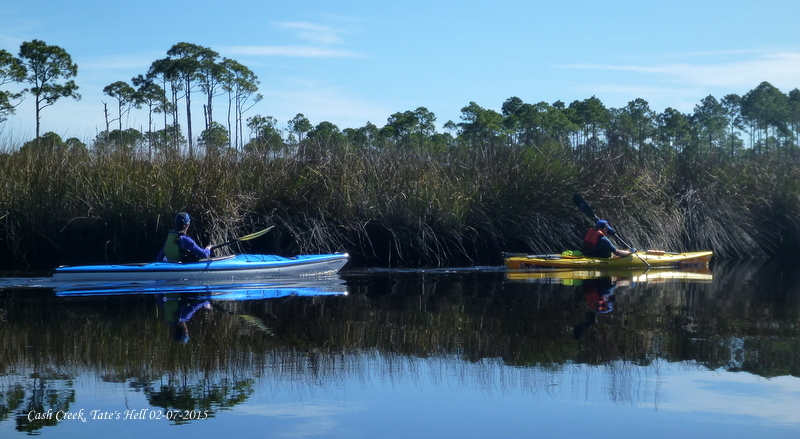 Only one other fishing kayak at take-out — he had gone downriver into the estuary. We four kayakers had the whole creek to ourselves! 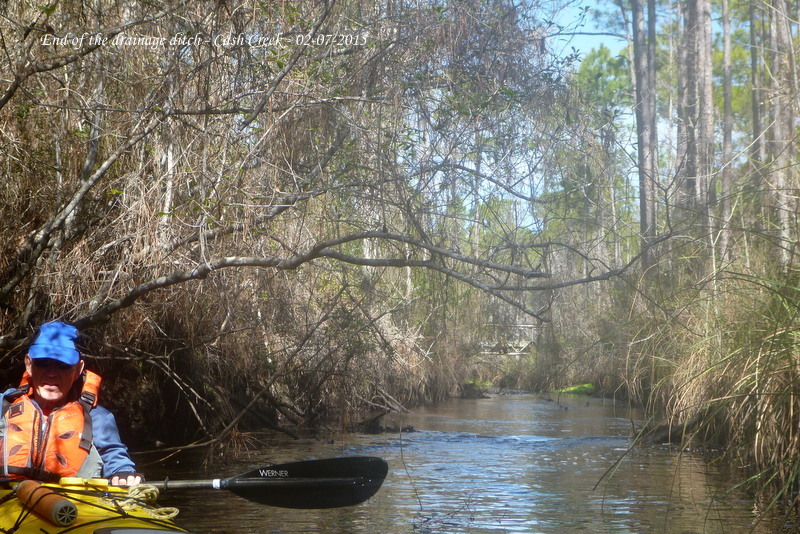 This entry was posted in Tate's Hell State Forest and tagged Florida Paddling, Paddling Tate's Hell State Forest, Tate's Hell State Forest on February 7, 2015 by marylynanded.